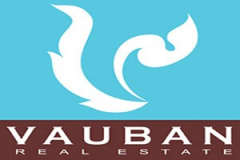 Vauban Real Estate Samui is a part of Thailand wide real estate franchise situated on the scenic island of Koh Samui. Koh Samui is Thailand's third largest island offering unforgettable views and beautiful sandy beaches. 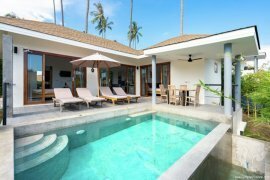 Vauban Samui has a wide range of luxury villas and condominiums for sale and rent mostly located right on the beach or with superb ocean and surrounding island views. Vauban Samui is here to hep you find your new home or holiday escape on Koh Samui island all year around. Vauban Samui real estate company offers a selection of brand new pre sale residential properties and high quality re sale condos and villas on the Koh Samui island. One Bedroom Condo in Chaweng Center. Condo for sale, consisting of 1 bedroom and 1 bathroom located at Ko Samui, Surat Thani. 2 bdr Villa with Private Pool in Lamai. House for sale, consisting of 2 bedrooms and 2 bathrooms located at Lamai, Ko Samui. Choeng Mon Seaview Residence (Corner unit D1). 1 bdr Condominium Samui - Plai Laem. Condo for sale, consisting of 1 bedroom and 1 bathroom located at Plai Laem, Ko Samui. Spacious 3 bedroom villa 10 minutes to Lamai. House for sale, consisting of 3 bedrooms and 4 bathrooms located at Ko Samui, Surat Thani. A stylish, contemporary, luxury 3-bedroom villa - Choeng Mon. House for sale, consisting of 3 bedrooms and 3 bathrooms located at Ko Samui, Surat Thani. 2 brand New Villas - Bang Kao. House for sale, consisting of 3 bedrooms and 2 bathrooms located at Ko Samui, Surat Thani. Charming 2 bdr villa + studio affording beautiful sea views on Chaweng Bay. House for sale, consisting of 2 bedrooms and 2 bathrooms located at Ko Samui, Surat Thani. House for sale, consisting of 3 bedrooms and 3 bathrooms located at Lamai, Ko Samui. 3 bdr house - Plai Laem. House for sale, consisting of 3 bedrooms and 3 bathrooms located at Plai Laem, Ko Samui. Modern Exteriors and Unique Designs Villa A10 - Bophut. House for sale, consisting of 4 bedrooms and 4 bathrooms located at Bo Phut, Ko Samui. Modern Exteriors and Unique Designs Villa A16 - Bophut. House for sale, consisting of 3 bedrooms and 3 bathrooms located at Bo Phut, Ko Samui. Beautiful and affordable contemporary villa in Lamai. High end villas, sustainable construction, unique VIP services and breathtaking sea views. House for sale, consisting of 3 bedrooms and 3 bathrooms located at Ang Thong, Ko Samui. Modern Exteriors and Unique Designs Villa A20 - Bophut. Luxury Garden Villa 250 Metres from Laem Sor Beach. House for sale, consisting of 2 bedrooms and 2 bathrooms located at Taling Ngam, Ko Samui. Apartment 70 Sqm. with Superb Sea Views. Condo for sale, consisting of 1 bedroom and 1 bathroom located at Lamai, Ko Samui. Luxury Pool Villa with Spectacular Sea View. House for sale, consisting of 6 bedrooms and 6 bathrooms located at Ko Samui, Surat Thani.